→What Are Blackheads Made Of? Are you having a hard time getting rid of blackheads? You are not alone. Blackheads are among the common problems not only of women but also of men around the world. We prick, poke, and try to remove them, but they always come back which makes it very annoying. Due to the seemingly endless battle with that skin issue, you can’t help but wonder what are blackheads made of. Blackheads are completely normal, and since the market is never short of blackhead-banishing products, you can be sure that you always have something to depend on when you want to have flawless-looking skin. One good thing about blackheads is that you can easily hide them with concealer, unlike pimples which cannot be hidden that easy regardless of how many layers of makeup products you put on your face. If you have blackheads and you have no time to remove them, you can always cover those annoying tiny black spots with a great concealer. However, rather than attempting to hide those blackheads all the time, the best move is to treat your skin properly. While it may be tempting to scrub, prick, or push the grime out, experts say that’s a big no-no because that will more likely make your skin problem get worse. The better way to treat this issue is to understand its root cause so you’ll have a better idea on how to avoid it in the future. Blackheads are tiny black spots and small bumps that appear on our skin due to clogged hair follicles. A blackhead is a mild type of acne that is commonly found on the face, but they can also appear on different parts of our body such as neck, chest, back, arms, and shoulders. Blackheads form when a clog develops in the opening of hair follicles in our skin. Each follicle contains one hair along with a gland that produces sebum oil. Sebum helps keep our skin soft; however, our daily activities, as well as the various cosmetic products that we apply to our skin, result in having dead skin cells and sebum stuck in the opening of the skin follicles, producing a comedo or whitehead, a small bump. The exposure to the air eventually causes the comedo to look black which we call a blackhead. 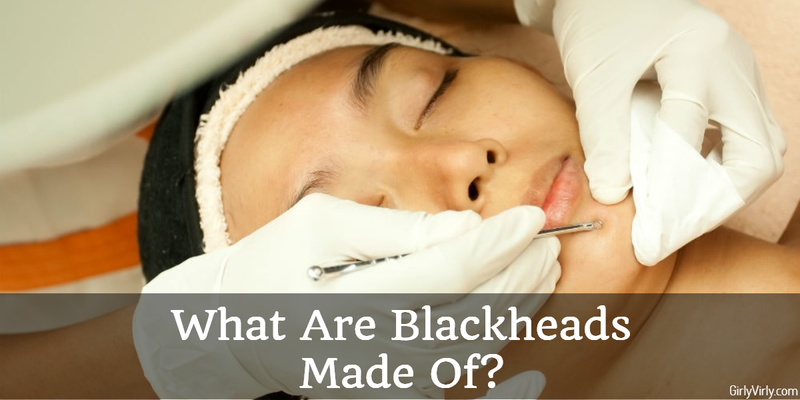 To sum it up, blackheads are made of sebum oil and dead skin cells that get stuck in the skin follicles. Teenagers and young adults are most likely to experience this common skin condition, but they may also affect a person of any age. As we’ve mentioned earlier, this skin issue is normal, and there are various contributing factors to this such as producing too much body oil, undergoing hormonal changes, taking medications, and being exposed to oily substances. Sometimes, you wonder how those tiny black spots appear on your face despite your effort in keeping your face clean. Don’t worry; you can easily resolve that problem. Here are helpful tips on how to easily get rid of blackheads. Use the right cleanser. Pick a facial wash that is suitable for your skin. Always keep in mind that choosing the right product has a lot of good effects on your skin. Some beauty care brands may be too harsh for your sensitive skin, so always buy something that won’t cause skin irritation. Irritated skin is most likely to invite more dirt and germs, which will eventually cause other types of skin issues. Use blackhead mask peel. Mask peels are probably the most popular ways of removing blackheads nowadays. This facial care product is very easy to apply. Just tap it on your face and peel it off once it dries. Some brands even have additional benefits such as acne prevention and wrinkle reduction. Pick oil-free makeup. Blackheads are caused by the overproduction of oil, so one of the best ways to prevent it is to use oil-free cosmetic products. Some makeup products even contain harsh chemicals which do not only encourage the growth of blackheads but can also lead to other kinds of skin problems. Keep your face clean. This is a basic tip, but the most commonly skipped task. Blackheads start from dead skin cells, so don’t forget to moisturize to boost hydration in your skin and prevent it from flaking. Always stick to your daily beauty regimen not only to prevent blackheads from coming back but also to keep your skin healthy and glowing at all times. Consult the expert. It’s important to see a dermatologist from time to time. Although chemical peels and microdermabrasion can be expensive, they can tremendously improve your skin. A dermatologist can also suggest the right products based on your skin type. Self-extraction. Never squeeze the grime out of your pores. Even though it might be the easiest way to deal this problem, it can leave your skin inflamed and even result in acne scarring. Over washing. Many people believe that blackheads can be treated by rigorously washing and cleansing their face. This can, however, aggravate the skin problem. Washing your face twice a day is already enough to keep your pores clean. Using Heavy Makeup to Conceal Them. Using heavy concealers or foundations would only resolve your problem temporarily. While this may help in making your skin looking fresh and flawless for a little while, putting too much makeup may even lead to acne breakouts. Blackheads are frustrating but getting rid of them is a lot harder if you don’t understand what are blackheads made of. Getting rid of blackheads should not be stressful because they are mild skin issues in the first place. Just follow the tips we provided above and you’ll surely won’t have to deal with various types of skin issues. Aside from taking care of your skin externally, you can also improve the quality of your skin by improving your daily diet. Always eat healthy food to increase good bacteria in your body which is the best way to treat all forms of undesired skin issues.